While googling around textbooks for next year I came across pdf versions of all my current textbooks on 2shared.com, a file-sharing site. 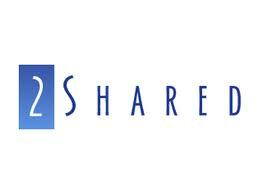 2shared seems to be a repository for enormous amounts of copyright materials, following on from the “success” of Megaupload. However, unlike Megaupload it seems to be impossible to find out who is behind it or to understand its business model. Megauploads model was based on selling display advertising to filesharers, but 2shared seems to be free of advertising. The site homepage requires users to install a version of the Conduit toolbar (http://www.conduit.com) to find content or to upload there own content, but the site is indexed by Google. I can find no refernce on the Web to who is behind 2shared, either individually or corporately, with the servers hidden behind private proxies. The proxies are registered to “Domians by Proxy”, who are part of GoDaddy, in the US, but the actual servers could be anywhere. There is a comment form, but if I was a copyright holder whose material was on 2shared it is not clear to whom I would pay my lawyers to mail heavy-handed cease and desist letters. Just this week the UK research councils circulated a call for business academics to come forward with research proposals on online business models and services like 2shared raise interesting questions. Most obviously, how does it make money? But, assuming that copyright holders are aware of the mass circulation of their IPR (and I know people who have been on the end of their letters, so know they are assiduous), why do they find these sites so difficult to shutdown? Beyond the business aspects, it seems to highlight the dissonance between the strength of US anti-piracy legislation but the scope for trading within the US while hiding the identities of the owners.